The Omni Slots Online Casino is relatively new to the gambling universe as it was established in 2015.The casino is currently owned by the Dutch Company famously known as Dialinvest International N.V. Casinos. It is a licensed gambling firm by the Curacao Egaming and the government. The Online Casino provides players with a wide range of online games from Net Entertainment, Microgaming, Evolution Gaming, Amatic, Betsoft, and Endorphina. The casino provides various payment methods including credit cards, prepaid cards, eWallets, and others. Players can rely on high-quality customer services and support during all hours of the day. Here are the essential aspects and features of the Omni Slots that all players need to know. The Casino features a purple and white theme that is fairly plain in the design. Currently, there are no user complaints logged at any of its major gambling portals. Although Omni Slots are new in the market, they provide players with many new gadgets, modern designed and well-arranged games and the latest technology that makes it easy to play. Also, the site is dry enough for players to find anything they need from. Essential categories such as support, banking, games, promotions, and bonuses are always at hand. Personal information is in the safe hands at the Omni Slots Online Casino since the site is well protected with the current and most advanced technology. If players happen to have any question about the security or anything related to the account, all they need to do is to click on the support button and contact the customer care team through their mail or live chat. At the Omni Slots Online Casino, players will be in the position to benefit from a wide range of promotional deals often provided with different types of bonuses or free spins. 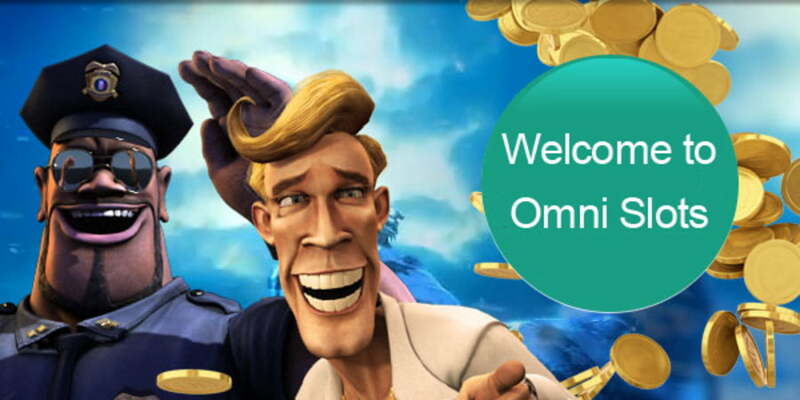 When players open an account with the Omni Slots, they will be provided with welcome bonus promotions. Omni Slots players can claim 100 percent of their first deposit up to $300, as well as free spins on the NetEnt’s game Starburst. To claim their promotions, players need to enter the 50FREE code when making their deposit. Naturally, there is no free money, and there are various rules that players must abide by. For new players, this bonus comes with the 35 times wagering requirement, meaning players will have to play 35 times the total value of their bonus before cashing it in. Players should understand that all wagers are not equal in situations where a wagering requirement is concerned. Following the Omni Slots bonus, the gambling company is willing to expand another offer to players when they make their second deposit. When they top up their account balance, they will be eligible to receive a 50 percent match bonus of up to $200 and 20 more free wheels spin on the Jumbo Joker. The main code to unlock the bonus is the WELCOME2, and the same rules and regulations apply to this bonus including the 35 times wagering requirement and the expiration period of three days to the free spins. Omni Slots also have the Week promotion that run weekly and all players can participate if they have deposited at least $20 than the previous one. Depending on a player standing with the online casino, they will be eligible to receive free spins between 10 and 20 on the chosen slot games. A determining factor in any casino’s success, according to most players is the variety and flexibility of the site itself, and Omni Slots Online Casino certainly operates and lives to this standard. Classic mobile casino favorites such as the 7th Heaven, Mermaids Millions, Joker 8000, Moonshine and many others are incorporated with the old school fruit systems like Lucky Chips. Amongst a wide selection of online gaming possibilities, the Omni Slots allows players to check their payout rate of a single slot from the help button that is available on each game through their mobile. At Omni Slots, players can still enjoy a wide range of mobile casino games that are compatible with their respective mobile browsers. With this in mind, there are no native applications that might boost the overall operation and performance of player satisfaction. Omni slots provide a neat and clean mobile application that supports all the online table games, casino games, and live games to keep all players’ thirst for the gaming under control. Currently, mobile gaming has enabled a whole new realm of online casino gaming that can take things out of the hands. The top three picks available to all mobile players who would like to play on the go at the Omni Slots Casino are the Reels of Wealth, the Twin Spin and the Greedy Goblins. If players are into the table games, they should step up for the live dealer games which are available to all mobile casino players. The gaming library presented at the Omni Slots Online Casino is truly exemplary, and the sheer number of online and live games is staggering. There is much more at Omni Slots than slot games. Among the options, players will find a wide range of high-quality slots, video poker, table games, live games and more. Since the Omni Slots gaming portfolio is large, it is easy to say that every player will be satisfied with the games on offer. These slots have the best of the best, and that’s the main reason why the company is using products from the top providers including Amatic, Microgaming, BetSoft, NetEnt, and the Endorphina. Players will be able to find different slot games with various themes on adventures, blockbuster movies, history, and even special and unique category slots featuring excellent old fruits. At Omni, players can find classical slots including the 3 reel and 5 reels. The offer will not be complete without progressive slots with life-changing features and prizes. There are a lot of games which include the keno, bingo, and scratch cards. Live games and table games are also available. At the very least, players who have the opportunity to access Evolution Gaming streams have the privilege and the satisfaction to enjoy and experience the live dealer game. Players should expect more of jackpot slots collection from Omni Slots. The main casino games include the Baccarat, Blackjack, Craps, keno progressive slots, video games, table games, video poker and many more. Since this is an online casino, players will not be able to use the hard cash to make their deposits or withdrawals. Instead, they will have to use one of the online-supported payment services. All of these payment options are varied, and each one will suit player needs differently, but they all get the mission accomplished. Generally, there are minimal and maximum deposits, and when players want to cash in, they should understand the maximum amount of money they can withdraw within two days and the monthly limits. This online slot allows players from different states which mean it works in multiple currencies. Players can comfortably deposit in NOK, USD, EUR, and AUD. Credit cards are the most common payment methods not only at the Omni Slots Online Casino but in general. They provide players with the opportunity to use their funds for all online services including the Omni Slots. All players can use all the available and famous credit card brands when making their deposits at the online casino more specifically, the Visa, Diners Club, and the MasterCard. When players are using credit cards to deposit, they will be in the position to notice how their transactions go through immediately.Omni Slots also allow other deposit options such as the eWallets. This payment option allows users to store and move their cash in an online balance and players can use them on sites that support this technology. 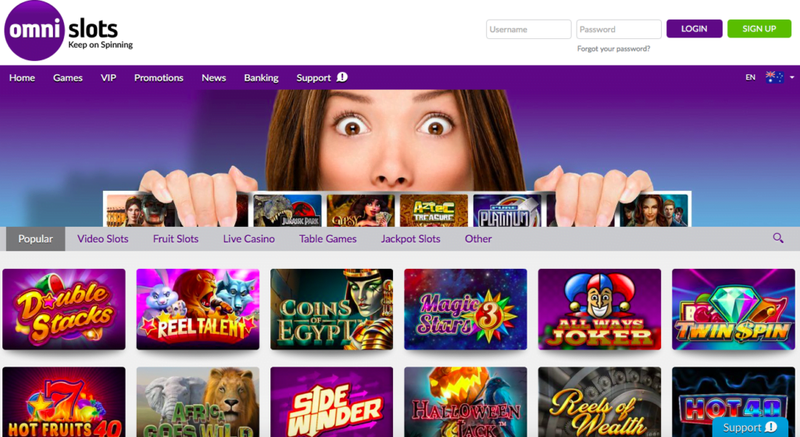 Players at Omni slots can utilize Neteller, Skrill, and Przelewy24. Omni Slot Online Casino includes one of the most responsive emails and live chat customer support. Not only is their response time short, but players will be able to get the information they need right away. From player experience, Omni Slots meet all the requirements and needs of all users who seek help from the customer care team. Players can comfortably reach out to the customer support team by clicking on the support button in the main menu section. Live chats and the email are the only available options , all players with questions can use the live chat customer support in minutes between 6:00 a.m until 3:00 a.m CEST. If players get any difficulties out of the specified time, they will have to use the email option. With all things considered, the Omni Slots Online Casino has the best customer service department.